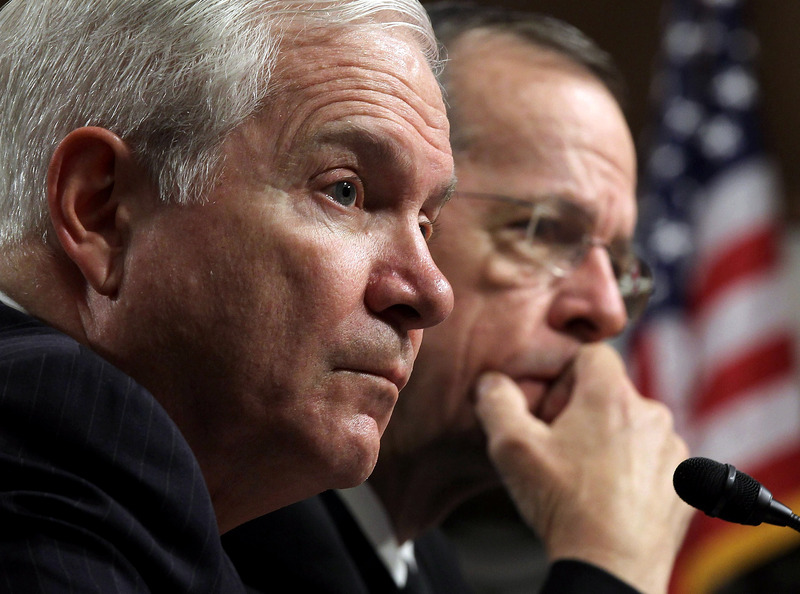 WASHINGTON - Defense Secretary Robert Gates is dismissing as harsh reality the accusations that Pakistani officials arrested several people who provided information to the CIA before the U.S. raid that killed Osama bin Laden. Pakistan: Account of army major's arrest "false"
While Gates did not directly confirm the reports, he is telling senators that "most governments lie to each other," sometimes they arrest people, and sometimes they spy on us. He says it's the "real world we deal with." Gates was responding to sharp questions from Democratic Sen. Patrick Leahy during a hearing. Adm. Mike Mullen, chairman of the Joint Chiefs of Staff, says the U.S. is struggling to rebuild its badly broken relationship with Pakistan. A Western official in Pakistan has confirmed that five Pakistanis were arrested by Pakistan's top intelligence service. Among the men arrested include a Pakistani Army major who officials said copied the license plates of cars visiting bin Laden's compound in Abbottabad, according to the New York Times, and the man who owned the safe house rented to the CIA while it gathered information for the May 2 bin Laden operation, according to the Associated Press. A Pakistani government official refused to confirm or deny the arrests in an interview Wednesday with CBS News' Farhan Bokhari. "No one is allowed to work outside a structured framework," said the official, who spoke on the condition of anonymity. "If there have been any arrests, I suspect that's because these people were working without permission." Pakistan's security forces were perceived as having been embarrassed by the bin Laden raid, particularly as the U.S. did not announce its intentions before taking military action there. Pakistani officials have denounced the raid, which is apparently deeply unpopular with the general populace there. "There is a strong feeling in the ISI [Pakistani spy agency] that they have been stabbed in the back by the CIA," a senior Western diplomat, who insisted on anonymity, told Bokhari. Since the raid, attacks by Islamic militants continue in Pakistan. There have also been U.S. military drone strikes on suspected al Qaeda and Taliban in the tribal regions. The bin Laden raid has built up distrust on both sides, with Pakistani officials decrying what was seen as a unilateral strike on their soil, and U.S. officials openly questioning how bin Laden could have lived in Pakistan for so long without anyone knowing about it. Additionally, U.S. officials have begun to question whether the America should continue to send aid to Pakistan, which so far has amounted to $20 billion since 2001.